Monogram's standard finish is a quartz infused plaster which actually improves appearance with age. 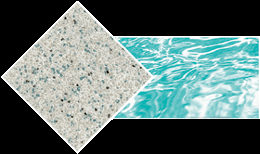 There are numerous color options with quartz and your pool can take on the color of turquoise blue Caribbean water, a dark mountain lake, a sparkling light blue sky...or anything in between. This 9-hour program and exam teaches the NPC industry method of properly starting up the water chemistry and care of a newly surfaced swimming pool and/or spa. The certification covers five primary areas: The History and Chemistry of Swimming Pool Surfaces, Understanding Water Chemistry, Using a Water Test Kit, Start-Up Procedures and Start-Up Problems and Solutions. The first 30 days of curing determine the longevity of a plaster/quartz finish. 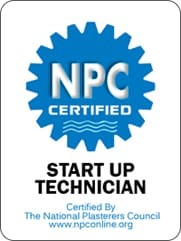 A NPC certified start up tech will ensure that your pool is started properly following the rigorous standards of the NPC. 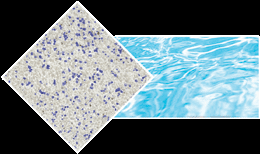 Minimizes mineral scaling, mottling discoloration and surface staining issues. 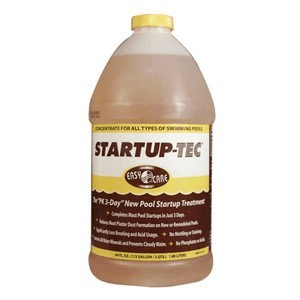 Startup-Tec is a powerful, multi-polymer formula utilizing advanced polymer technologies. 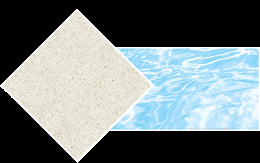 This unique formula is non-acidic and can be safely added during the initial pool water filling to immediately prevent the formation of damaging plaster dust.Damaging dust can form on the curing surfaces as calcium and hydroxides transport to the surface edge causing water pH to increase above 8.3 where calcium is insoluble and quickly precipitates to form calcium carbonate. Startup Tec multi-polymers synergistically and strongly sequesters calcium to block and prevent its formation over a broad pH range. 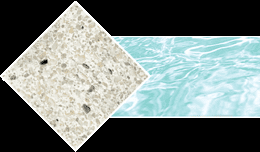 The product's powerful anionic dispersion and sequestration properties also provide for effective dispersion of plaster cream exposure of quartz and pebble type aggregates without the need for additional acid washing or acid circulation.